I'm not sure what it is about Mortal Kombat cosplayers, but they're perfectly happy to cross legal lines in the name of costume creation. 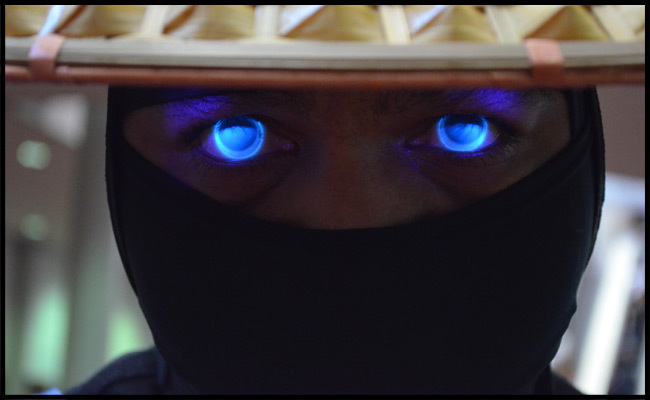 In this case, some UV-reactive contact lenses were used to give his eyes a healthy, blue glow. And according to Hilton, lenses like this are illegal in the US. 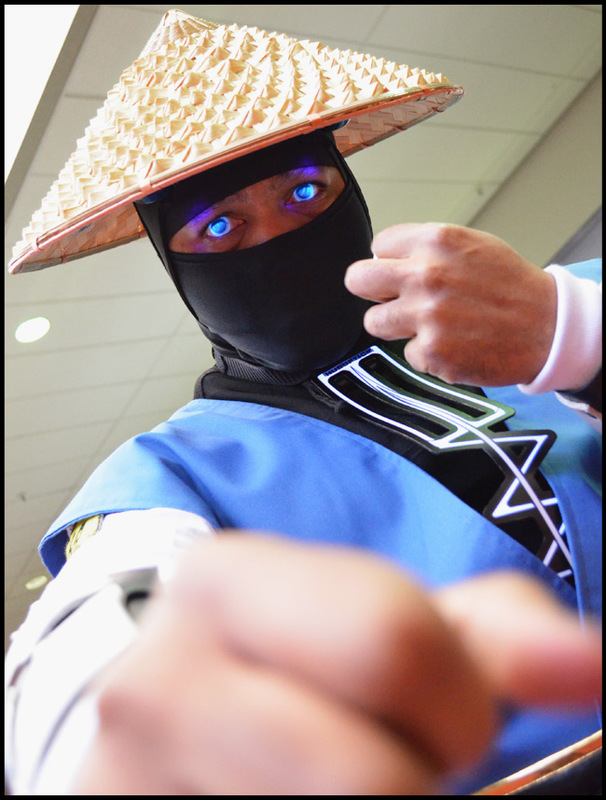 Hilton spent about nine months perfecting his Raiden getup. But judging from the size of the crowd that he drew at MomoCon, it was worth the effort. If you'd like to compliment Hilton's work, head over to his Facebook page.